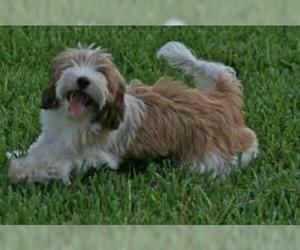 Overview: The Tibetan Terrier is a great companion dog. 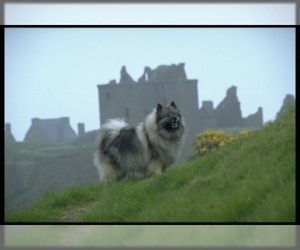 They're devoted companions and very happy going along with their families on outdoor trips. 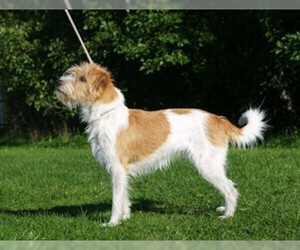 This breed washes itself with its paws (like a cat) and have a very quiet, unusual bark. 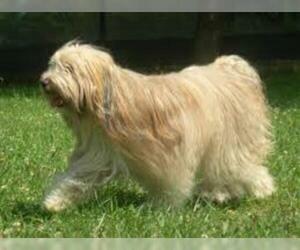 Coat: This breed has a long, luxurious, fine topcoat that is either straight or wavy. The undercoat is wooly and dense. Long hair falls forward over the eyes and foreface. 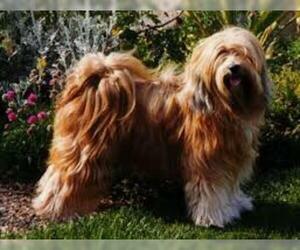 Character: Tibetan Terriers are brave, intelligent, and loyal. They are very cautious around strangers and do not like being left alone. 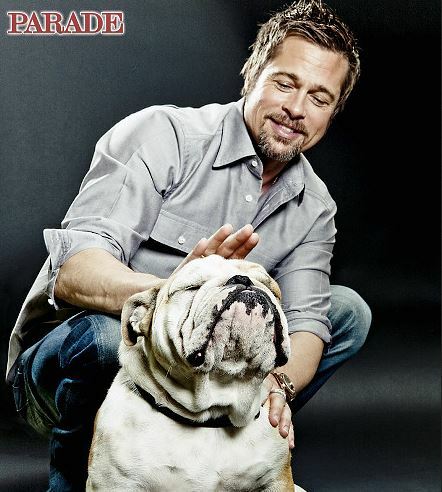 Temperament: This breed gets along very well with other household pets, if well socialized from an early age. They also enjoy the company of children who are not too rough and who are respectful of their space. 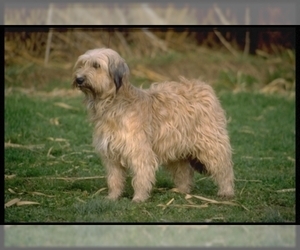 This breed often tries to dominate other dogs. 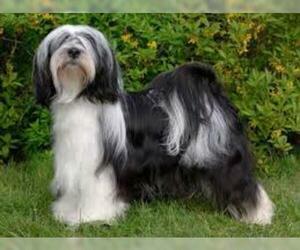 Care: The Tibetan Terrier requires regular grooming with a brush to remove loose hair. 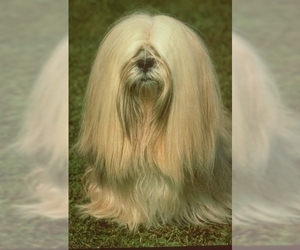 Regular baths are needed and excessive hair around the footpads should be trimmed. 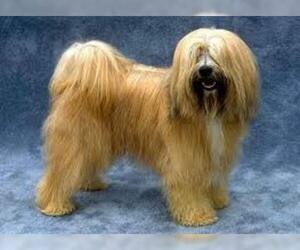 Training: This breed is sensitive to the tone of its handler's voice, so take a calm approach to training. 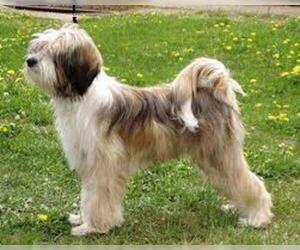 Activity: The Tibetan Terrier has a huge amount of energy and enjoys games of catch and agility skills trials. 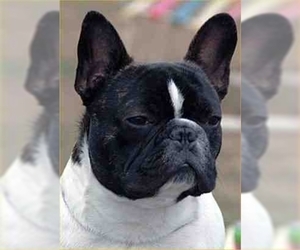 Health Issue: This breed can be very flea sensitive. Major concerns: Lens luxation, PRA, ceroid lipofuscinosis. Minor concerns: Patellar luxation, cataract, CHD.